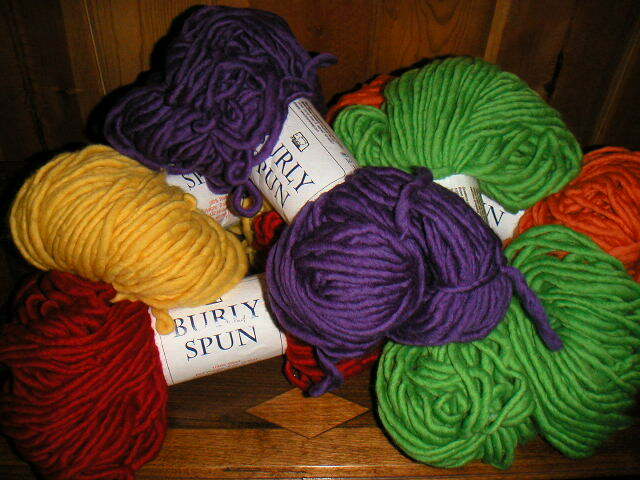 Over the weekend I bought some very fun and colorful Burly Spun yarn to make hats. 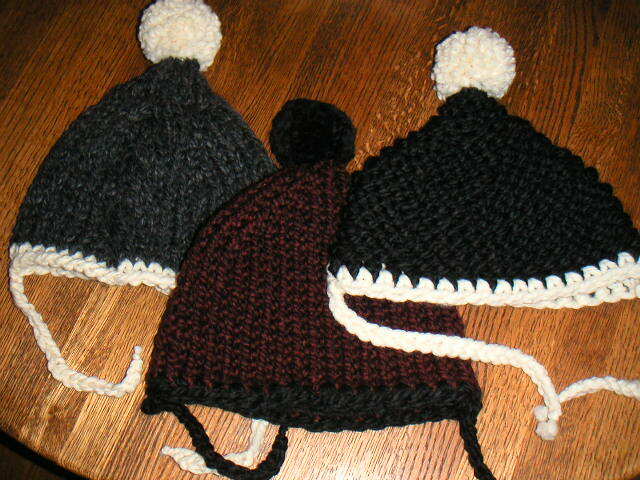 As you may have guessed, these hats are for a bazaar. They are really fast and easy to make. 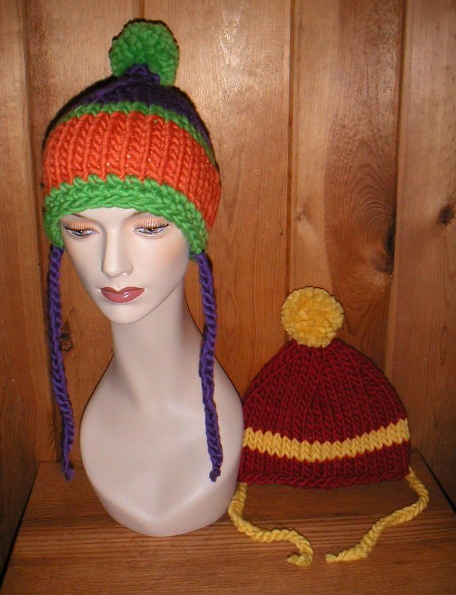 I think I was finally able to perfect the pattern after making the third hat. Most of the hats are simply stockinette stitch, but one is garter stitch and one has a big fat cable in the center of it. I also want to try and make some scarves with pompoms too.